Hot Space (1982.) Queen's tenth album. Queen is one of the few classic rock bands that managed to maintain a fairly large audience following their entrance into the eighties. Many of the rock giants of the seventies didn't make the transition successfully, and were either destroyed outright or doomed to create inferior music. But John Deacon, Freddie Mercury, Brian May, and Roger Taylor survived that transition. Their first release of the new decade, The Game, was one of their finest. The Flash Gordon soundtrack they released following The Game beautifully displayed the band's diversity. And the band attempted to diversfy further with 1982's Hot Space. Read on for my review. 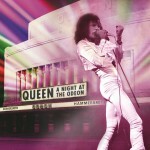 I am disappointed to see that people diss this album just because it "doesn't sound like Queen's other stuff." That is NO reason to diss a band! Face the facts, people, any band becomes pretty dull if they release the same album over and over again, no matter how good it may be. Queen's eagerness to try new things is one of the things I commend them for. Being a fan of both Queen's classic seventies material, and eighties pop-rock/new wave, I was really able to enjoy this album. Admittingly, this album is more pop than rock, but it is still an excellent album. Much like on the Flash Gordon soundtrack that came before this album, the band used keyboards and synthesizers a lot more on this release. The band's attempt at making eighties-style pop music is, believe it or not, quite good! The material on this album is just as good as anything you'd expect from one of the pop-rock groups of the day. Two fairly big hits came from this album - Body Language, and the classic collaboration with David Bowie, Under Pressure. The latter song remains wildly popular. Its backing instrumentation was even ripped off by white rapper Vanilla Ice in the early nineties! In the end, Hot Space IS a good album, but you shouldn't buy it expecting the group's classic seventies rock sound. 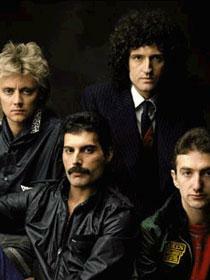 Queen's catalogue was remastered and reissued in the early nineties. The reissues feature expanded liner notes with rare band/release photos, and bonus tracks. However, the bonus tracks, more often than not, are rather lame remixes. Why'd we get a remix instead of the non-LP B-Side to Under Pressure? It would have been a far better choice. 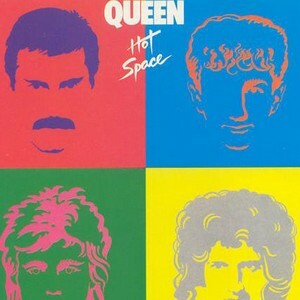 If you like eighties pop and/or are a die-hard Queen Fan, Hot Space is worth listening to. If you're strictly into Queen's seventies rock material, though, you may want to sit this one out. But if you can get into it, you'll agree that this album is better than people often say it is.